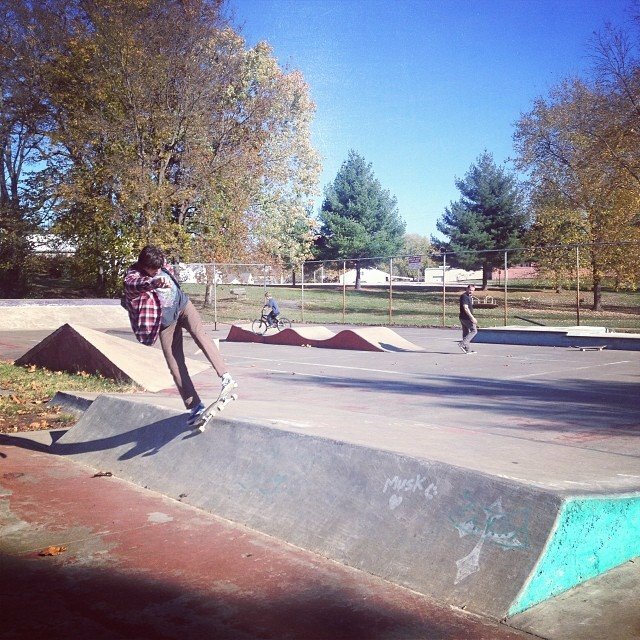 When someone calls me and asks me if I want to go skate perryville…I tend to not say no. That slanted manual pad may just be my favorite thing to play skateboards on. Here’s a vid of Me, Mitts, Brink, Goeke, and Kazooie. Thanks to those who filmed and ripped. MAJOR SHOUTOUT TO ADAM MCKEE WHO ROLLED HIS ANKLE IMMEDIATELY AFTER WE GOT THERE AND FILMED SOME CLIPS <3.